This briefing paper looks at the university expectations and occupational aspirations using data from the Age 14 sweep of the Millennium Cohort Study. This briefing paper examines the weight status of today’s generation of adolescents taking part in the Millennium Cohort Study. 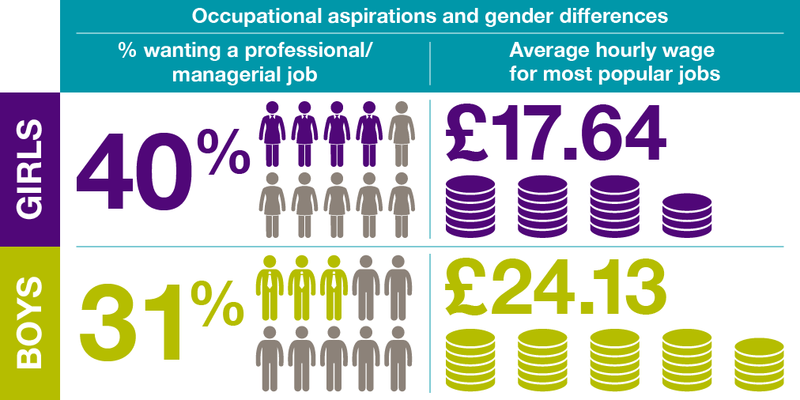 This infographic highlights the different occupational aspirations of teenage boys and girls. It uses data from the Age 14 sweep of the Millennium Cohort Study. This infographic highlights the gender differences in teenagers’ dream jobs. 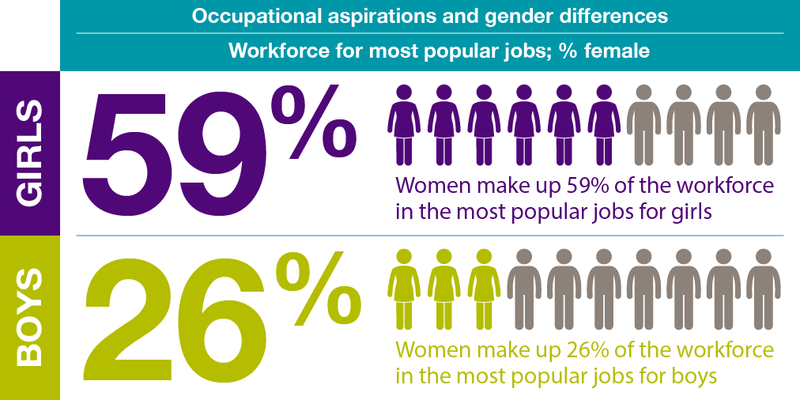 This infographic looks at the difference between the percentage of women in the workplaces of the most popular jobs for teenage girls and boys. Language skills are an important prerequisite for wider learning. In this briefing we examine the factors which influence young people’s knowledge of vocabulary. 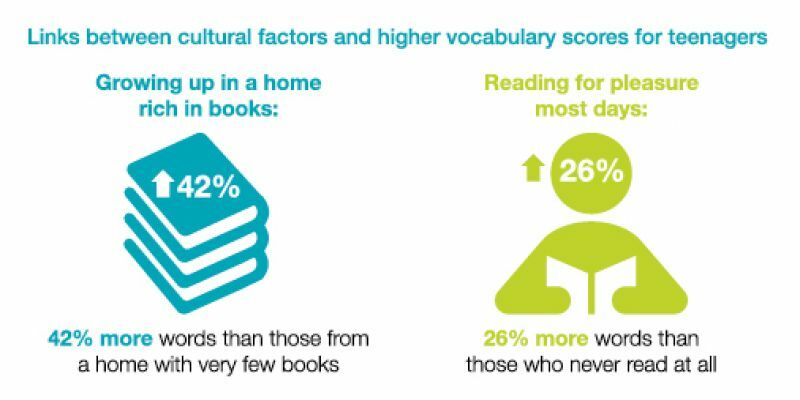 This infographic demonstrates the links between cultural factors and higher vocabulary scores for teenagers. It uses data from the Age 14 sweep of the Millennium Cohort Study. This briefing paper summarises the prevalence of mental health problems among children taking part in the Millennium Cohort Study. New CLS research funded by the Joseph Rowntree Foundation shows the generation born in the later 1950s to be divided in their prospects for later life, with a majority expecting to keep on working into their 60s. New CLS research funded by the Joseph Rowntree Foundation, shows the generation born in the later 1950s to be divided in their prospects for later life, with a majority expecting to keep on working into their 60s. This document summarises the key findings of the full report. This webinar introduced the Next Steps to both first-time and more experienced users, focusing on the newly-available data from the age 25 survey. Darina Peycheva, Survey Manager for Next Steps at CLS led this session which detailed the content of the Age 25 Survey.